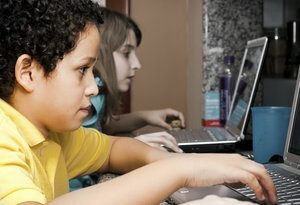 Children Allowed to Open Facebook Accounts? The question would had to have come sooner or later as means for continual Facebook growth. Previously anyone under the age of 13 were not allowed to have accounts, though a Consumer Report study estimated that out of 20 million minors on Facebook, 7.5 million of these children were younger than 13. Among these users, 5 million were 10 years or younger and were not being supervised by their parents. Age restrictions have always been difficult on the internet. This is not a simple matter of whether to let kids have access or not. Keep in mind, part of the reasoning in keeping young children on Facebook is the incredible dangers that it poses. Photo Accessibility: Photos posted on Facebook or the internet in general can easily spread very quickly. As they say once it’s on the internet, it’s there forever, even if you delete them. Even if you were careful, it can easily be grabbed by someone and posted elsewhere. There are many instances were lives were ruined because of some poor Facebook photo going viral. This is not only for photos you upload, but photos your friends may upload or you upload of your friends. Many lives are ruined because of one photo uploaded by someone who didn’t think through the consequences. Abuse of Knowledge: Another example many do not consider is how sites like Facebook are used for theft and burglary. Did you just say you and your family are going on a awesome 3 month vacation to Europe? You just announced your home will be vacant for 3 months. It’s scary to think about, but consider how else more dangerous people can utilize such information. Inappropriate Content: How about dangerous and inappropriate links shared by friends, strangers, malware or clicked on by accident as they surfed the web? Is your daughter posting pictures of themselves all over the net? Who can access those? Download those? Any Other way of Handling Pre-Teens on Facebook? Some may argue that the children are already on it anyway and more should be done to help allow parents to monitor. Is that Facebook’s responsibility to provide the tools to do so or does it mostly lie on the parent? How about the idea that Facebook create a separate sub-site for those under 13 with strict monitoring tools and filters as well as an easy way to transition the account to the main facebook platform? Food for thought. Share your ideas! Should Children be Allowed to Use Facebook? Do you support Facebook opening up to pre-teen accounts? What is the best way for parents to help monitor or prevent children from making terrible mistakes? At what age do you think, children have the capacity to think intelligently about these things? Should Children Under 13 be Allowed on Facebook? Absolutely not! Children should definitely stay away from FB. All the horrible influence of relationships and violence spreading throughout the internet is not intentionally for children to read. What would consider an appropriate age where people can think critically enough it to be safe? Age restrictions are pretty much useless anyway. Any 8 year old can click on a checkbox that says ‘Yes I am above 13 years of age’. And unless you ask people to enter credit card information, age restrictions will always remain a useless ploy. As far as the topic at hand is concerned, yes, children should most definitely be allowed on Facebook (and the internet). However it is important (and I’m pretty much stating the obvious here) that their usage is moderated (even if they dont like it), and they dont spend large chunk of their time online. Setting up ground rules is essential. this comment is nearly identical to the one above…. haha.. hmm..
cleancutmedia recently posted..How Much Data does Your Child Use Per Month? Parents should be very cautious about allowing their children to use facebook. While it is a wonderful tool, there are many risks and dangers involved. Parents should teach their children to use such tools properly and wisely. Well, my 12 year old son easily got an account, as did all his school friends. Facebook seems to make it very easy for them to lie and get on board. That said, Facebook is FULL of creepy weirdos so NO is my answer. Protect kids and leave the time wasting Facebook to adults. What good will restrictions do? If, for instance, I stop my 12 year old from using Facebook or say no when he comes to me about, his rebellious nature will only make him do it even more. In which case he will do it from me without my knowledge, which means I’ll have no way of controlling his access to it. A better idea would be to give them restricted access to Facebook – restricted in terms of time, and the things that they can do when they’re on Facebook. My advice: put two-factor authentication on the Facebook accounts and give your personal cellphone there, so that (a) they cannot log into Facebook without the text on your cellphone (if for instance they try to do so at a friend’s place), and (b) you’ll know every time they attempt to log into Facebook without your permission. Yes we can allow but keep tracking that they or talking only known friends. by the way Facebook is very timetaking . So always keep a schedule to access Facebook! i don’t think that children should be allowed on Facebook and Facebook too should not allow children under 13 to create an account. If children wants to research for anything there they are site like Wikipedia but social networking ( online ) and private chat are harmful for small child. facebook should allow kids with some limited access and should have a feature where parents are allowed to view what there kids are upto…. Yes, I agreed it can be dangerous for kids. I would advise facebook to make video verification system like skype so it can aid to monitor. Honestly, Facebook is not good for children… Parents advisory and guidance would always took on the first place. t is absurd to suggest that a parent would let a child under 13 use the internet unsupervised. To have a Facebook account, one needs an email account. Check your spam folder in any public free access email account (be it Gmail, yahoo , AOL, hotmail ) and you will find all sorts of advertisements, and other emails with adult content. To allow a child exposure to such rubbish is the act of a very irresponsible parent, so responsible parents, will use their own email accounts to make their kids’ Facebook accounts and will thus be able to supervise everything that goes on in their child’s Facebook. The problem with Myspace and MSN chatrooms was/is that these children had/have Hotmail accounts. The same issue arises with youtube, children who have unsupervised youtube accounts, also have unsupervised email accounts.